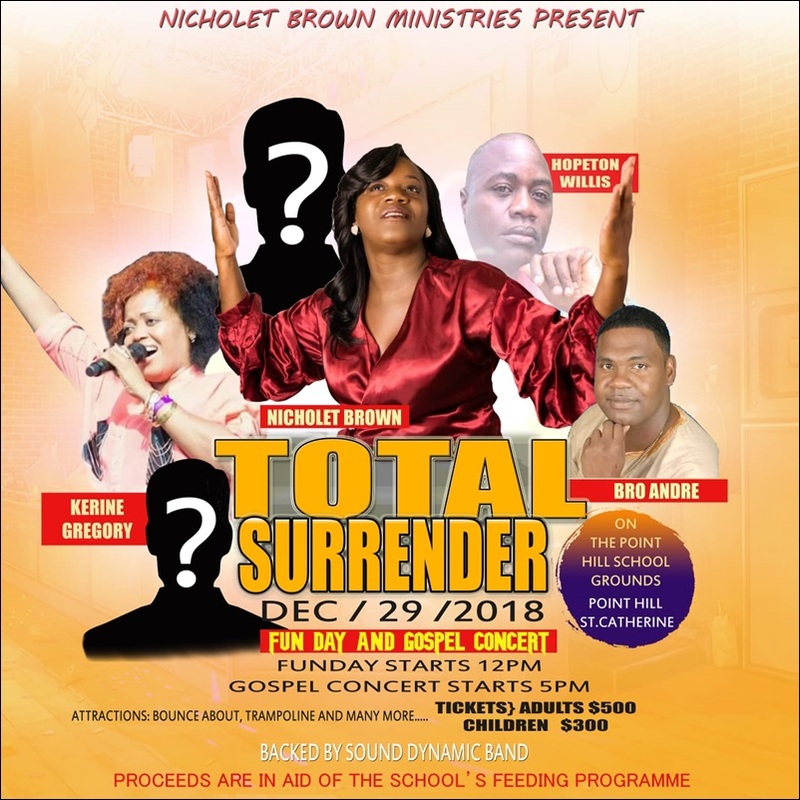 Primary school teacher Nicholet Brown, who got pregnant at 19 years old and thereafter struggled as a single mother, is now living a life of ‘Total Surrender’ to her maker. It comes as no surprise that the songbird, who hails from Point Hill in St Catherine, picked Total Surrender as the title of her first major single. The song, produced by Michael Fairman’s Vision House, is being released today, 25 October 2018, on Itunes, Spotify, and all other major platforms. “This song is my first major release,” Brown told The Beacon. “I fully launched out in this ministry in terms of recording in 2017; hence the title Total Surrender.” More songs are in the making, she further said. Brown realized her ability to belt out big notes when she was nine years old. 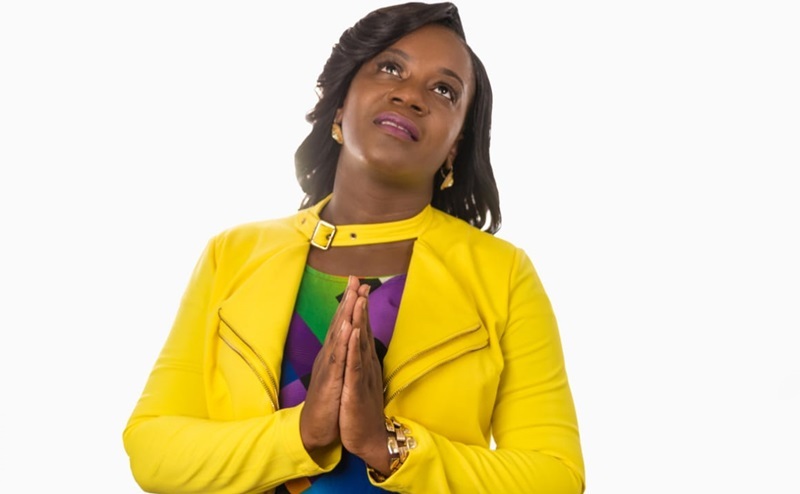 After a hiatus, she revived her passion when she joined the Holy Ghost Prayer House Deliverance Ministry under the tutelage of Bishop Lynette Nation. The artiste, in addition to performing at various local events, left lasting impressions at shows in Curacao and Canada. “I am ready for the next big move of God,” she declared. Brown’s music is also flavoured by the struggles she endured. “I am from humble beginnings – many of us living in a one-room house with my grandparents Stanley Goffe and Murlis Goffe.” That house, Brown said, is located in a community called Lookout, not far from Garden Hill in St Catherine. She also grew up partially with her mother Daphne Douglas and stepfather Melbourne Douglas. Brown told The Beacon: “I got pregnant at age 19 and had several struggles raising a child as a single mom.” She is grateful that, during those dark days, she had the shoulders of persons such as Isolyn Walters – her aunt. Brown’s life started to turn around when she enrolled at GC Foster College, and later became a teacher at Point Hill Leased Primary School. Her impact extends beyond music; beyond the classroom. “I use my struggles as a stepping stone and passion to serve,” Brown told The Beacon. She is a former nominee for the Prime Minister’s National Youth Awards. Brown served on a number of civic bodies, and also represented Jamaica in countries such as Venezuela, Canada, and Antigua. She intends to continue making an indelible mark, especially through music. LLUIDAS VALE: Mary Patience was killed!